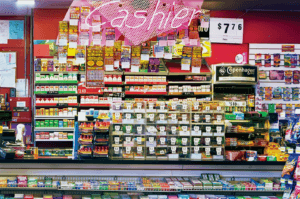 The Most Common Lottery Myths, Busted! 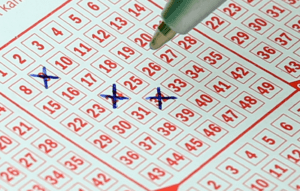 There are tons of myths surrounding the lottery, but not many people seem to realize it. Heck, you might even have been duped by the more widespread myths out there! It’s high time that those myths got debunked for good, don’t you think? 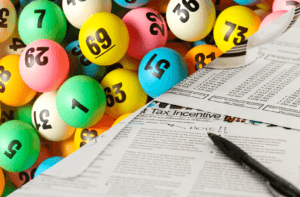 From examining why lottery isn’t a form of tax, or why always playing the same numbers is pointless, let’s take a deep dive into the most common lottery myths and bust them! Contrary to what most believe, choosing the same numbers every time doesn’t really improve your chances of winning. Sure, there’s some comfort in playing numbers that you think are “lucky” in some way, but it’s not like it’ll magically make you a winner. Yes, many people have won using their lucky numbers. Then again, a Chinese lottery player whose winning numbers consisted of the time he woke up, the time he ate breakfast, and how much it cost, ended up winning big, too. Lottery numbers are drawn randomly, so the chances of your lucky numbers getting picked are the same as anyone’s. 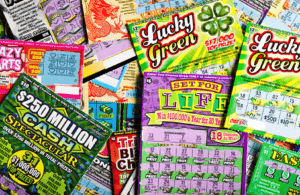 It’s all too common, when a lottery winner is declared, that people would view the store where the winning ticket was purchased as lucky—especially when several winners bought their tickets at the same store. Sure, if many players who bought at the same store end up winning, it’s easy to think that the store itself was lucky. If you really dig in, however, the logic isn’t very sound. Let me put it this way: If we go by the logic behind the lucky store myth, then I could also argue that every store is unlucky. After all, regardless of how many of the store’s patrons end up winning, there will always be far more who don’t win anything at all. Again, lottery numbers are drawn randomly, so it’s irrelevant where you got your tickets. You’ve probably come across this one many times. A lot of lottery critics view lotteries as nothing more than regressive tax, in that it takes more from low-income earners than it does high-income ones. In other words, many people view lotteries as a tax on the poor. This is brought upon by the belief that only low-income earners play the lottery. While low-income earners make up a good chunk of lottery players, middle class citizens also play the lottery. Heck, even some celebrities—like Madonna or George Clooney—play the lottery, too! Sure, you could argue that a portion of lottery funds do go to government projects, just like our taxes. But, that doesn’t make the lottery a form of taxation. Taxes are mandatory whereas the lottery is entirely voluntary. Many people believe that the bigger the jackpot is, the longer the odds. It sounds right, doesn’t it? Unfortunately—or fortunately, depending on how you look at it—that’s simply not true. The US Powerball’s jackpot odds are 1 in 292,201,338. That’s the same regardless if the jackpot is $90 million or $1.5 billion. The odds of winning depend on the lottery’s mechanics (i.e. how many numbers in the selection, how many you can choose, and so on)—and not on the jackpot amount. 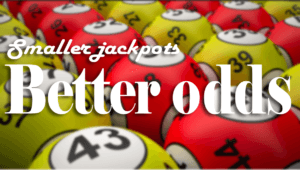 What’s true, however, is that smaller lotteries tend to offer better odds of winning than their more popular counterparts. Speaking of odds of winning, many people seem to be resigned to the belief that it’s simply impossible to win the lottery more than once. It’s a feeling that any lottery player can relate to. However, it’s not true. In fact, many people have beaten the odds several times! For instance, Stefan Mandel won the lottery a whopping 14 times—which started all the way back in the 1950s in his native Romania. 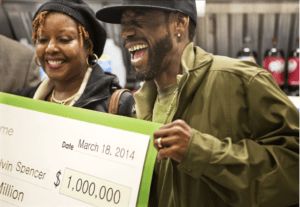 Meanwhile, Virginia couple Calvin and Zatera Spencer won the lottery three times in one month—one from a scratch card, one from the Virginia Lottery’s Pick 4 game and another one from Powerball. Those are just a few examples of players winning multiple times. So, yes—it’s not impossible. However, it is highly unlikely. Just because you won once or twice, doesn’t mean you’ll win again. You’re still up against incredible odds, after all. Despite what most people think, simply playing the lottery does not lead to compulsive gambling. According to the National Survey on Gambling Behavior, there’s no evidence that playing the lottery directly leads to gambling addiction. Don’t believe it? A study from 1990 called “Lottery Playing, Gambling Addiction and Links to Compulsive Consumption” had similar findings. Surprising, isn’t it? Like any form of addiction, gambling addiction stems from a combination of biological and psychological factors that are already present in a player. In other words, playing the lottery doesn’t mean you will automatically become addicted. Some people are simply not built that way. That said, there is still a potential to be addicted—which is why a lot of lottery sites offer self-exclusion features, links to GamCare, Gamblers Anonymous and the like. Here’s a myth that everyone I’m sure almost everyone is guilty of believing at one point or another. 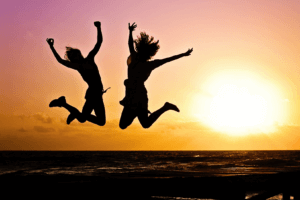 For most, winning the lottery has always been equated to as the ultimate dream come true. It’s a life-changing event, after all. So why is this a myth? Simply put, while it can change your life, winning the lottery won’t change you. If you were happy before, then you’ll still be happy after your win. Sure, you’ll definitely be ecstatic after your win—who wouldn’t be? True happiness, however, isn’t something you can buy with money. In fact, there are many stories about lottery winners wishing they had never won in the first place. Take Jack Whittaker, winner of the $315 million US Powerball jackpot in 2002, for example. Ever since his big win, Jack has experienced tragedy after tragedy. He became a victim of burglary two times, lawsuits against his company kept pouring in, a woman accused him of sexual harassment, and—as if those weren’t enough—his granddaughter, Brandi, used the money he gave her on drugs and became addicted. Her boyfriend died of a drug overdose, as did she months later.